Here are some tips from hair stylist NADEEM who also holds the national record in candle hair cut, Blindfolded hair cut, Hair cut with papercutter & piece of Glass. Nadeem has been conducting seminars and workshops accross the country and has featured in various TV channels and Newspapers.You can use any of these tips that suit your lifestyle. 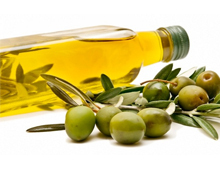 Apply olive oil (or Musturd Oil) at bed time and wash off the hair next morning. Boil mustard oil. A regular massage of this oil is helpful. Wash your hair with a paste of cooked Urad dal (black beans) and fenugreek (methi) 2-3 times a week. Trim the hair every 4 to 5 weeks even if you are growing it. Coconut oil mixed with lime- juice on the hair applied daily is also good for hair health . Don't use any old rubber band as they tend to break or split hair. Instead just use a scrunchy or a fabric coated elastic band. Don't brush wet hair too harshly because its three times weaker and more likely to break off mid strand. Towel dry hair first, then gently detangle using a wide toothed comb. Rinsing your hair with lemon juice can bring life and shine back to dull hair. Another good way to get rid of dandruff is to soak ground fenugreek seeds overnight in water and massage the paste on the head, leaving it for a few minutes and then wash it. Mix Banana in Honey and apply on hair for 30 - 40 min, and then wash it for that sheen in your hair. For stopping your hair from getting grey, you can mix Bhringraj (Eclipta elba), Amala, corals, iron and black sesame seeds. It is very useful and even stops the graying of hair. Another good way is to keep head of healthy hair is to Apply juice of green coriander leaves on the head. Massage of olive oil and almond oil on your scalp is a good cure of dandruff. Mash eight strawberries with one tablespoon mayonnaise. Massage into washed, damp hair. Cover with a shower cap, then a warm towel. Wash out with a shampoo/conditioner combination. This luscious mix of rich acidic berries will leave your hair both conditioned and with rich gloss. Kindly note that Diet and lifestyle are two leading factors that affects the health of your hair. There are some foods that you could avoid like too many sweets, chocolates, cakes and cookies. Always remember Whatever goes into your body is reflective on the outside including your hair & skin. Poor diet, illness and deficiencies of any particular vitamin and mineral affects the quality of hair and problems like dandruff, thinning hair, balding, premature graying etc. spoil the hair. Follow the tips shared by Jawed Habib the famous Hair Stylist to get a bouncy and beautiful mane. Wash your hair daily : A regular wash gives the required bounce and shine to your hair and keeps dandruff away. Be careful with the conditioner : Sweat and conditioner are both oily and that's where the problem begins. Avoid contact between conditioner and scalp. Use hair serum : Serum keeps the hair healthy. It is the sunscreen of the hair but apply on the ends. It brings back the shine to your hair. Apply hair packs : Like we pamper the skin, we must do the same for hair. Multani mitti with rose water can do wonders for your hair. Drink lots of water : Water the elixir for healthy body helps getting healthy hair also.